LOOK AT THIS! Enter code TDKTOUR for a 5% discount in checkout! The 52nd Academy of Country Music (ACM) Entertainer of the Year Jason Aldean is "Just Gettin' Started" with 2018. 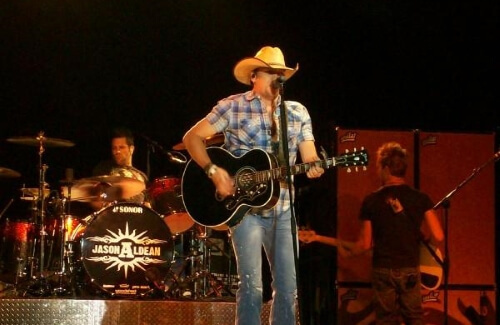 See Jason Aldean live on the "They Don't Know Tour" with special guests Chris Young & Kane Brown. Or buy passes to catch him at one of the many country music festivals he will be headlining this summer. "Tonight Looks Good On You" whether you're from a "Hicktown" or under the "Amarillo Sky". So don't miss out on "My Kinda Party" and checkout the amazing seats we still have available on Rad.tickets for every upcoming country concert.